Designers confront tons of tasks and projects that are highly demanding therefore you will hardly find them mooching around, because they have responsibilities on their reliable shoulders, they have clients to answer, they put their big efforts to make their ends meet and they are the most creative souls you will ever see. From making a logo design to the business card, from typography poster to the shopping bag layout, from making an application design to the billboard designs; you will see them working on all sorts of design ventures therefore their skill just keeps on improving with the passage of time nevertheless. Let’s talk about the topic of today. Who does not like shopping? We all love to hang out with our friends and buy the best outfits and accessories for ourselves from the brands/shops and malls. It is always cherishing to go for shopping. It is said whenever you are in doubt, in a bad mad mood, having a quarrel, upset or are depressed; you must immediately plan to go out for a fresher air and come back home with shopping bags of your favorite goodies. Here I am putting forward a free high quality paper shopping bag mockup in which you can insert in your design elements being asked by your client. 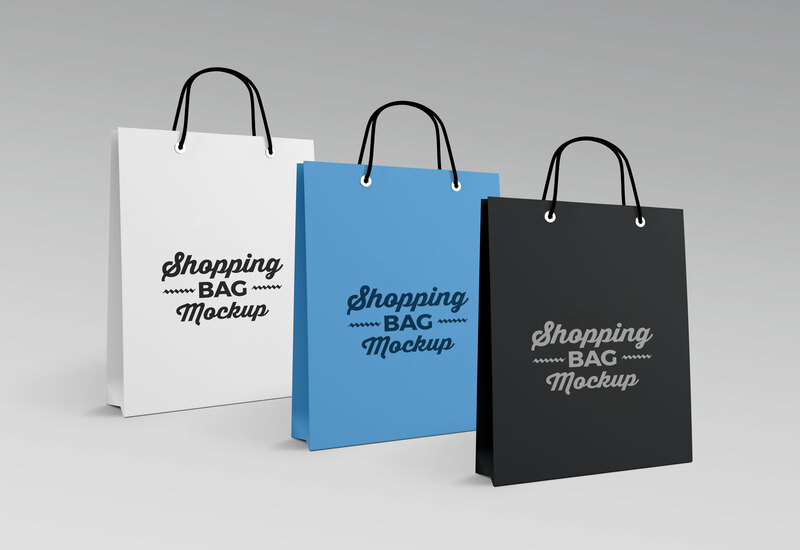 Logos, company’s landmark, logotype or anything can be pasted onto this shopping bag mockup. Eco Friendly paper shopping bags are preferred by the companies because you can dispose them off easily without causing dirt in the environment also they can be reused simply, they are good to carry the stuff you buy from the mall and also they look good enough. For more freebies, mockups and other design assortment just stay tuned to the blog by subscribing us and we will let you know daily about the latest feed of design on the blog. Here we go!